From Domini Games, the studio that brought you the Mystery Tales series, comes another Labyrinths of the World game! The past isn’t set in stone. Now’s your chance to change it! This time, you’re tracking down a fellow agent who seems to have gone rogue to save his beloved. But does his quest for these powerful relics mask a more insidious plot? 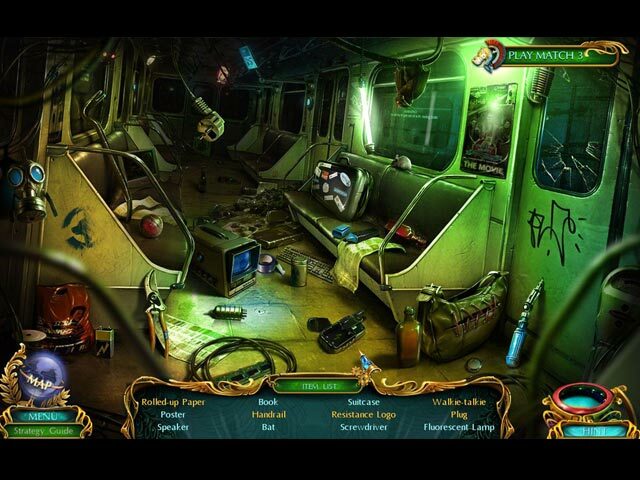 Find out in this hidden-object puzzle adventure game full of twists and turns! Play morphing, listed, and interactive HOPs, Match-3 games, and more! Travel to the distant future in the bonus game. Three-different types of collectibles to find! Take a personality quiz to see which historic era you belong to! Earn achievements and enjoy the soundtrack, wallpapers, and more. 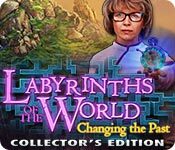 Labyrinths of the World: Changing the Past Collector's Edition is rated 3.9 out of 5 by 31. Rated 5 out of 5 by Majestyx12 from Homing beacon to find another detective Go back in time to three different places in the main game which has five chapters. The bonus chapter was a surprise going into the future. The Spybot is cute. Replay 19 hops, 12 mini-games and 5 music. 19 wallpaper and 12 concept art. 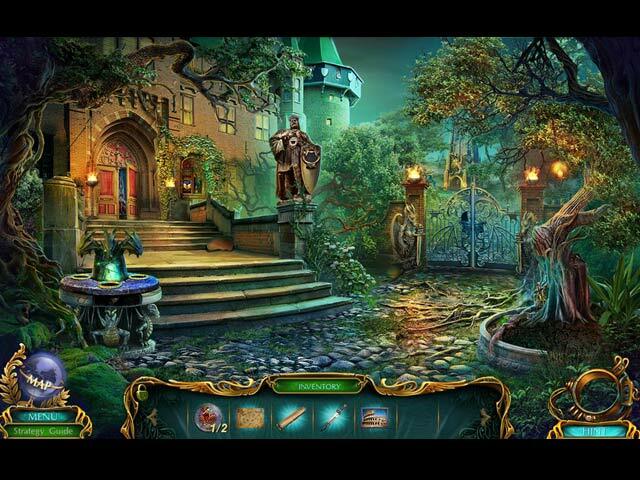 Find 18 artifacts, 41 puzzle pieces and 15 statuettes. 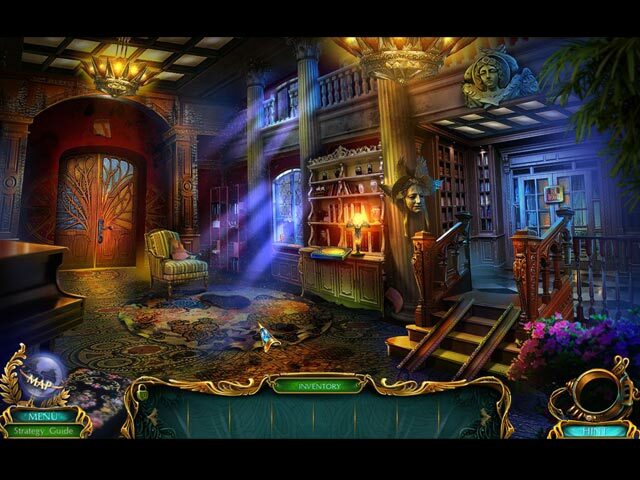 Rated 5 out of 5 by Ronniecakes from Great hidden object game I loved it. There's various settings and different worlds. It was fun and interesting. Rated 5 out of 5 by Geener_Weener from Excellent game! Everything about this game is perfect! I enjoyed it so very much that I played it 3 times....as well as the bonus game! I have a suggestion for the dev's. Why not have the option to go back into the game to search for things we've missed...for example puzzle pieces...or collection items and so forth. I played a game recently that had this feature. I liked it! More fun! Just an idea. I have to say that I just LOVE BFG's!!! Rated 5 out of 5 by tommym0707 from good puzzles and story Fun game and many puzzles that are actually fun while challenging. Don't forget to look for morphing items and souvenirs. Rated 5 out of 5 by j62janet from Excellent game Graphics amazing Story fantastic, with an unexpected turn around! The music drove me nuts, so I turned that off, then all was good. One of the puzzles drove me crazy, but all was good in the end. I'm glad I bought the C/E, because it finished the story off. And when you think the story has ended, it takes you to a different world, fantastic. Rated 5 out of 5 by Fuyu28 from great game but I love the game, but first...in the first world you come to, where you have to get the right letters, it is not a good thing for people with epilepsy...there should be a warnig, about it, since it can cost a a epileptic fit, and than I didnt get the ending..she gets the belt and than yells you are going to die, and than dissapered, the end,,,and even in the bonus chapter, you dont get the know what in the world happent.. other than that,,,it was fun.. Rated 5 out of 5 by kerith90angel from Based on COMPLETED CE & bonus play- here is what you can't see aft demo ****************MAY CONTAIN SPOILERS******************* The SE portion of the game took me around 5, 20min. The bonus play took me, 1hr 30min Total gameplay 6 hr. 10min --I took off 40min for a mini-game I had trouble on. The first thing I need to address is how beautifully done the characters were in this game. Instead of talking from the side of the screen with text, they have a moment of 3d while they come close to the for-front and they look so real as they talk. It was perfectly done. The cut scenes and graphics are also clear, crisp and have gorgeous effects & deep, rich color. You play first in the present, then you have a time device that sends you for a chapter or so in Rome, then a chapter or so in Medieval times and the final portion of the standard portion of the game -they call it the Renaissance-- but it is actually a beautiful place with floating “animal islands” in the sky. Chapters in Rome were a reddish hue, while chapters in medieval times were tones of teal & blue. The final area of SE play has gorgeous pinks and natural tones. Chapter 4 has a storyline twist I was not a fan of. The SE portion ends quickly and leaves you hanging. Bonus play does not really completely answer or help this ending either as it is entirely another subject altogether. All of the Bonus play takes place in the future.... 2029, I believe. You play 12 brand new areas in bonus. There were 10 more mini games and 5 HOS. I have to admit, I wasn't a huge fan of the bonus level...as I prefer to play in outdoor areas and this entire level is inside. You STOP collecting items at the end of the SE. So there are no more collectibles in the bonus play. The game has a diary, a great portal task map, and a helpful step by step hint. Different to the inventory is a TIME DEVICE that will bring you to other locations as well as speeding up and slowing down time. There is EVERY type of Hidden object scene is this game....we have morphs, lists, silhouettes, collecting more than 1 item, multiple step scenes...and this DEV is trying to cater to all of us. CE goodies are: 19 wallpapers that save to doc file. You can replay 19 HOS & 12 mini games. Love a HO game that actually has more HOS then MG., 12 concept art, a statue page- for one of the collectibles, a puzzle pc page which looks like a stained glass window --- I was 1 piece off at the end of the game so I don't know if this does anything once you complete the puzzle, or not. Bonus play took me 1 ½ hrs. There is a 12 question test to determine what age in history you might fit into. There is an Achievement and Artifact –showing more collectibles pgs. as well. There is an in game 50pg walkthrough guide that I used several times to progress. To give you an idea of how long the bonus play is, CHAPTER 1 IS 8 PGS. BONUS CHAPTER IS 13PGS. All in all I really liked this game. I am glad I purchased the CE. Enjoy the hours you spend in another place in history! Rated 5 out of 5 by nowyouvedoneit from Interactive Game...instead of boring I can tell within the first few minutes of any game whether or not it is for me..it either grabs me...or I don't even continue to see if it gets any better. This is one of the ones that grabbed me immediately. Give it a try...see if it grabs you too! It is interesting from the very beginning. The past isn’t set in stone. Now’s your chance to change it!